A safe is the most secure way to protect your belongings, but it perhaps comes with a bit of a responsibility. 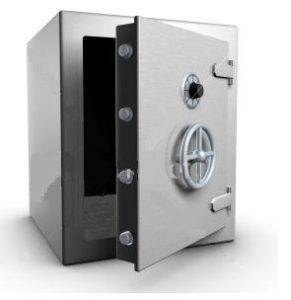 There are many brands of safes available, in both mechanical and electrical styles. If you find that you have become locked out of your safe and need to recover your property, call your bonded, certified and insured Reno locksmith to assist you. A lot of the time, it will be simple for a locksmith in Reno to open your safe for you without any acquired damage to the safe. The locksmith will be able to deploy various tactics to unlock the safe. A safe has many varying levels of difficulty, meaning different bypass strategies may or may not work. 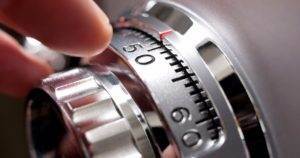 If your safe possesses very strong security, it will be very difficult to open your safe without harming it. Certain security features of your safe may avert a commercial locksmith from being able to use specific bypass tactics to open your safe without the proper key or combination. When the going gets rough during the bypass process of the safe, it might be decided that the only way to open the safe is to manually drill into it. This is an unfortunate choice, but if you want to retrieve your valuables, it has to happen. The occurrence of drilling onto the lock of the safe will render it useless to any further use of protection or security. Now you can understand that it is extremely important that you utilize prevention techniques so that you can gain access into your safe. Do this by keeping track of your keys and making an extra key that you keep at a special spot. If you possess a combination safe, keep your combination passcode written down in a safe place just in case of an emergency. If you are an owner of a safe or are considering purchasing a safe, make sure you keep in mind the strength of the safe’s security not only in terms of keeping your property safe but also in terms of how easy you can access your belongings when you lose the key. Perhaps consider having your local locksmith bolt down the safe inside your office or home for extra protection. This entry was posted in Locksmith Tips and tagged locksmith, locksmith in reno, reno, reno locksmith, safe, unlocking a safe. Bookmark the permalink.